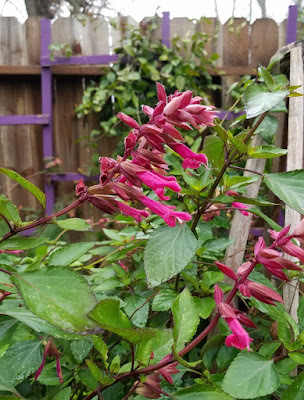 Welcome to Bloom Day in my Central California, Zone 9b, garden. While there are not swathes of flowers there is still quite a bit blooming. We had some dips just below freezing in December but for now the frost cloth is wadded up in the garage. 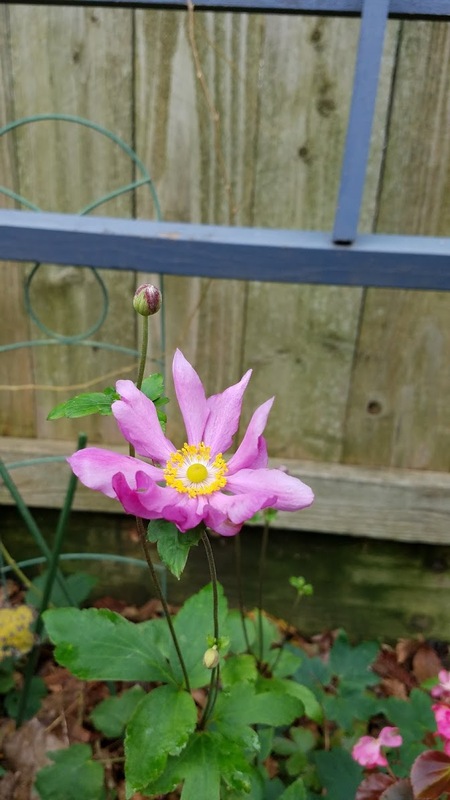 I am not going to tempt the weather gods by folding them and putting them back in their box. On the patio this aloe has attracted the resident hummingbird to within a foot of the back door which is fun to watch. 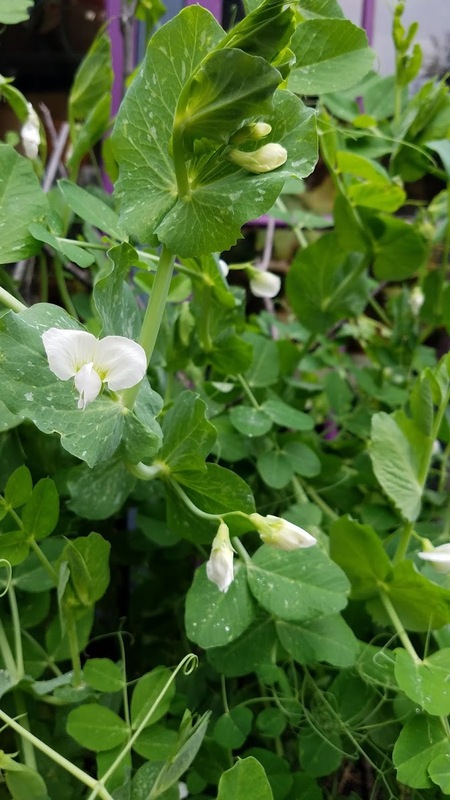 The sugar snap peas are blooming and there are a couple tiny pods forming...good eating ahead! 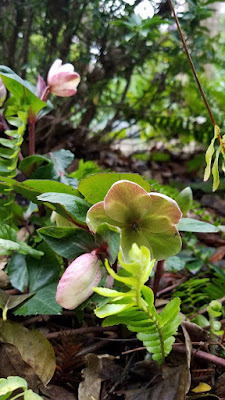 ...and hellebores on the other. 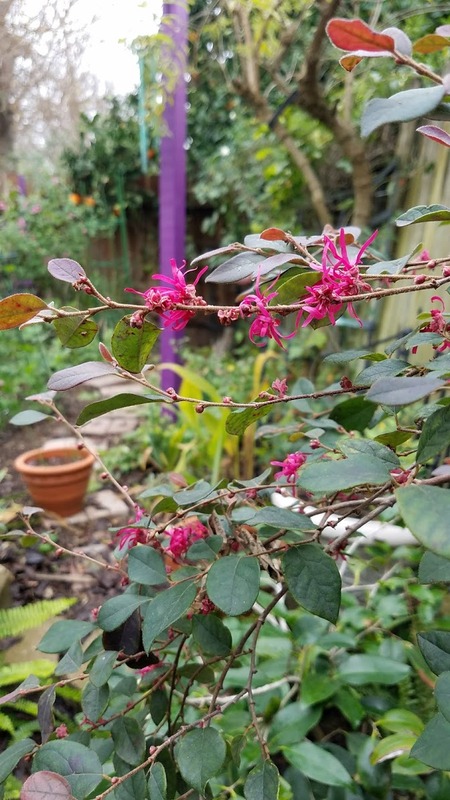 Loropetalum chinense 'Razzleberri' adds color to the back fence. Anisodontea 'Strybing Beauty' is covered with blooms and is a bright spot in the back corner. 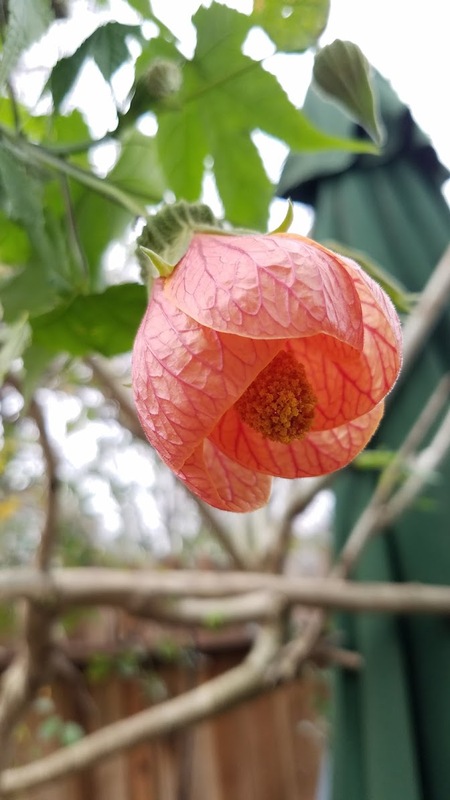 A variegated abutilon that has reverted for the most part to green is a big hit with that resident hummingbird. It really needs a good pruning but I hate to deprive the hummer. Maybe one section at a time. 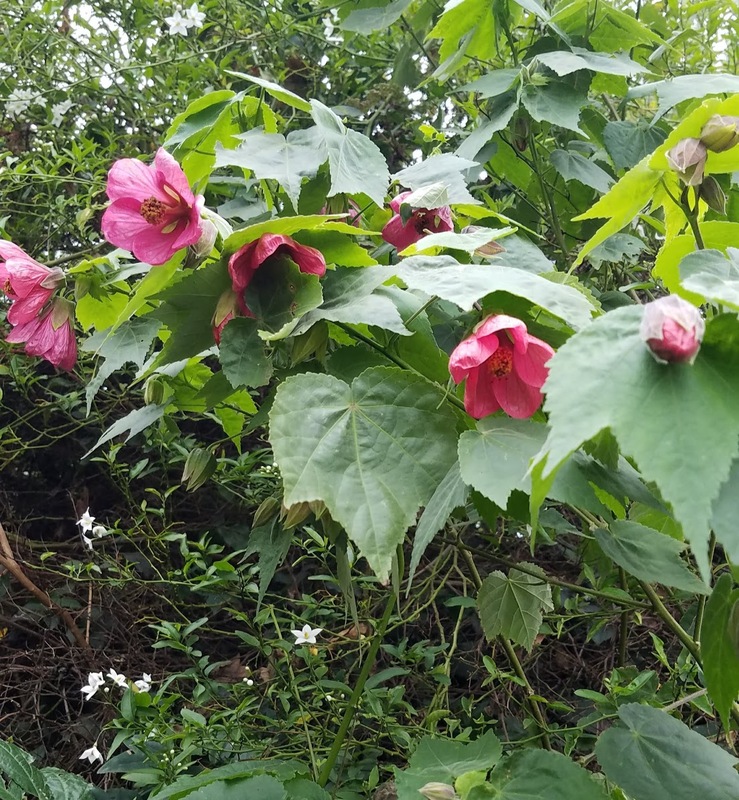 This abutilon is growing up through a viburnum that also serves as a support for a white solanum jasminoides. 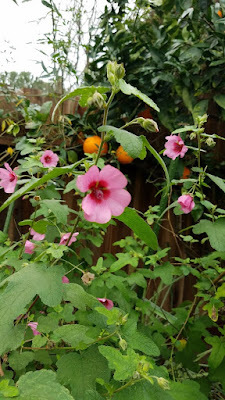 It provides a pop of color visible from the back door on the dreary foggy days we have been having since the holidays. Salvia 'Wendy's Wish' is one of the plants that get covered with frost cloth when our temperatures dip. 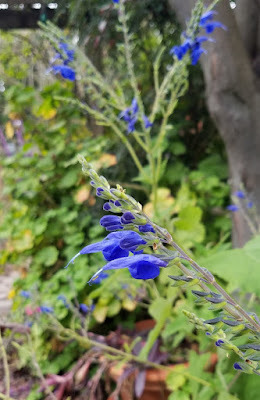 Right now it is thanking me for doing so by blooming happily. 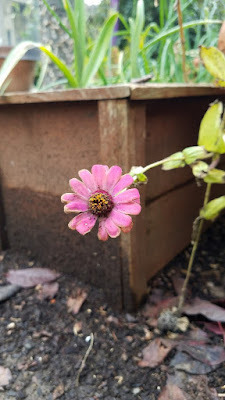 This silly zinnia, planted in a container, has hung on and, while scraggly, just keeps blooming. Her friends have all given up but she just can't stop. 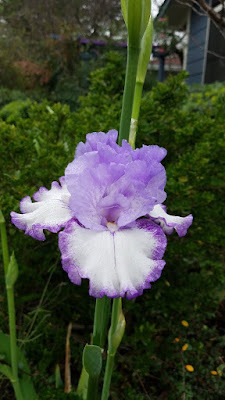 And then there is this crazy bearded iris who is totally confused. While I have another iris, Eleanor Roosevelt, that does bloom almost all year this one is not supposed to. 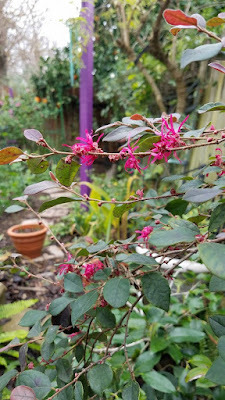 However, it is such a treat to see in the front garden and the cold has made it hang on beautifully. 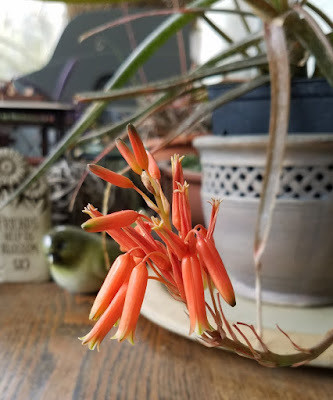 Hopefully the other buds will also open and be harbingers of spring to come. 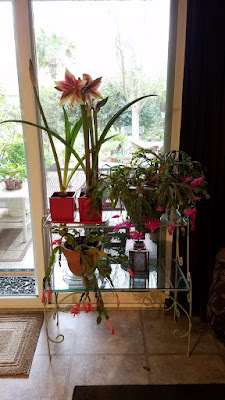 Just in case winter was more severe there are the inside bloomers, amaryllis planted by the grandchildren and just beginning to open and Christmas cactus that were brought in from the patio just as their blooms opened. Pansies, lavenders, and cyclamen are also blooming in the garden and are especially welcome on these dreary foggy winter days. 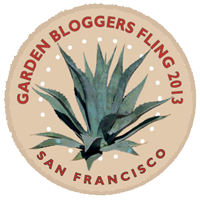 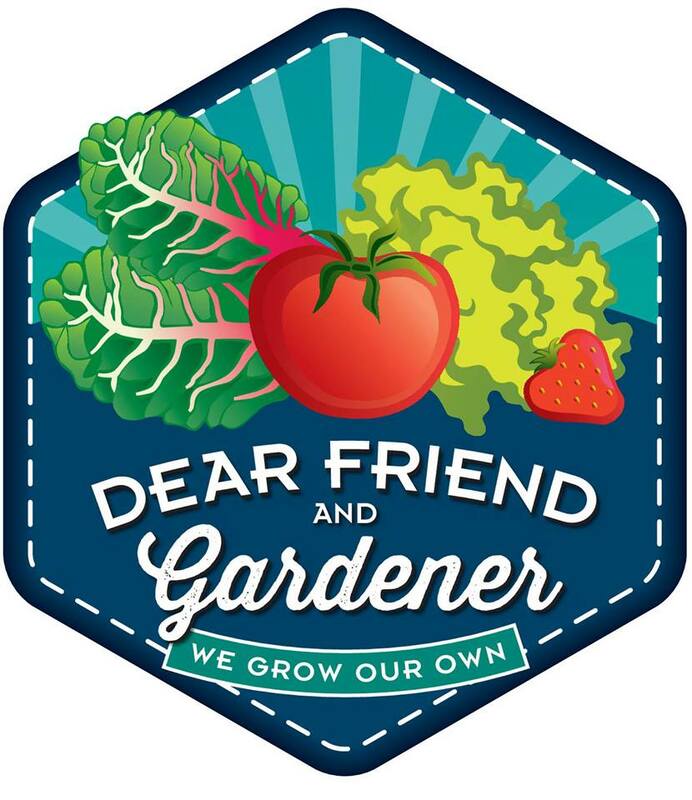 For more blooms visit Carol, our Bloom Day host, at May Dreams Gardens.